Mr. William “OZ” John Osborne Jr., 75, passed away on Sunday, Jan. 18, 2015, after a brief illness, with his loving family by his side. Bill was the first-born child to John and Betty (Hawkins) Osborne on May 29, 1939, in Butte. He would be joined by his two sisters, Karen and Jonnibeth and a baby brother, Steve. Bill attended St. Joseph’s Grade School and Butte High School. As a young man and through his adult life he was known for his strong athletic abilities. His worked spanned from Pepsi Cola to his career as an I.B.E.W. electrician. From this, his passion as a union man brought him to all ends of the U.S. -- from Texas to Alaska, where many of his lifelong friendships were formed. Known fondly as “OZ,” many people will remember his laugh, quick wit, storytelling and living life strictly on his terms. 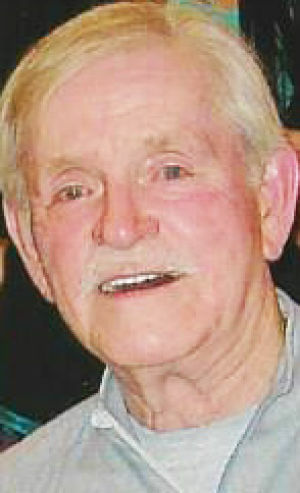 Some of his pastimes included softball (Old Ozzie), golf, fishing, hunting and camping with friends and family. Family was Bill’s biggest accomplishment. From his beginnings with the Osborne and Hawkins family and his biggest pride his wife, children and grandchildren. He will be dearly missed by his wife: Sharon (Burke) Osborne; children, Tami (Wayne) O’Connell, Bill (Kat) Osborne and Michele (Randy) Verrall; grandchildren, Michele (Dan) Steele, Aryn (Tom) Kientz, Kirbi Jo Daly, Jeremy, Alison, Zachary, Ajaya Osborne and Alexa Berg, Sharlie (Travis) Hettick, Cory, Brody (Brittney Ralph) and Beau (Jessica) Verrall; and great-grandchildren, Oliver and Hudson Steele, Coen, Adelyn, and Nolan Kientz, Peyton, Ryder and Libbi Hettick, Floyd and Olivia Verrall and Calvin Snow, Tripp Verrall, and baby Verrall due in March. He is also survived by sisters, Karen (Rich) Choquette and JonniBeth (Greg) Hernandez, as well as his sidekick and constant companion, Dublin. A Celebration of Life will be held on from 2 to 5 p.m. Saturday, Jan. 24, at 1251 W. Steele. Please bring your favorite OZ story. Contributions can be made to Chelsea Bailey Butte-Silver Bow Animal Shelter, Boys Town of America or the American Diabetes Foundation. Axelson Alternative Cremation is privileged to serve the Osborne family.